Rhino Metals Warthog gun safe with 80 min fire protection and S&G electronic lock. 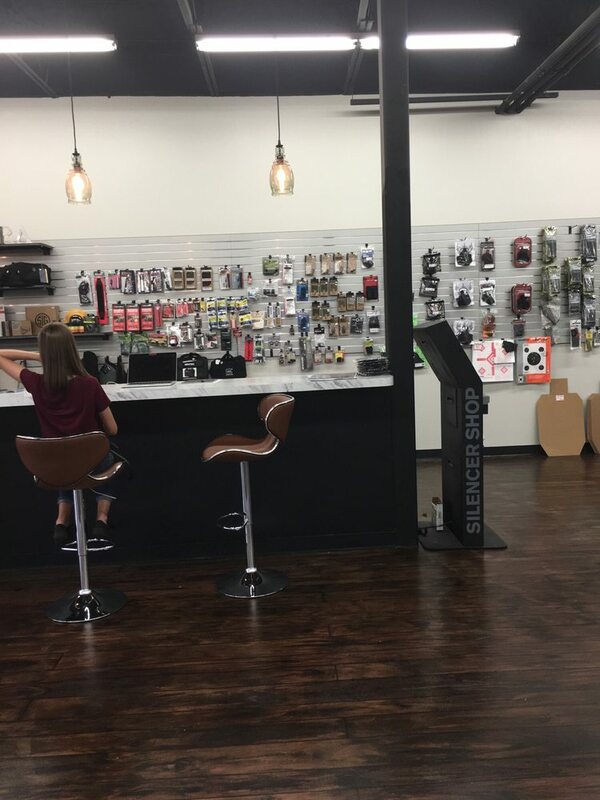 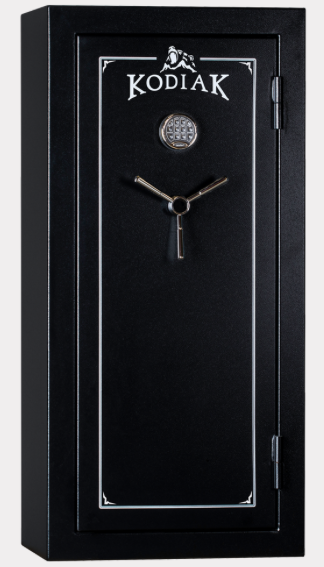 60″ high x 42″ wide x 27″ deep. Granite exterior with heather gray interior – holds up to 54 long guns and several handguns on configurable shelves and door organizer. 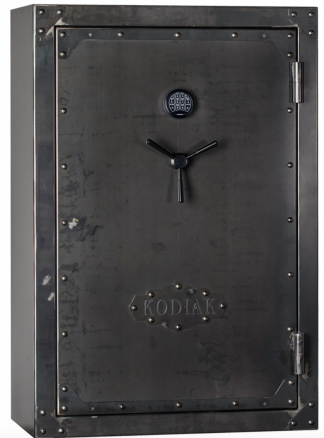 80min fire protection, 820lbs. 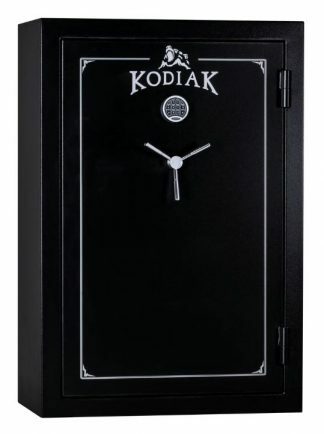 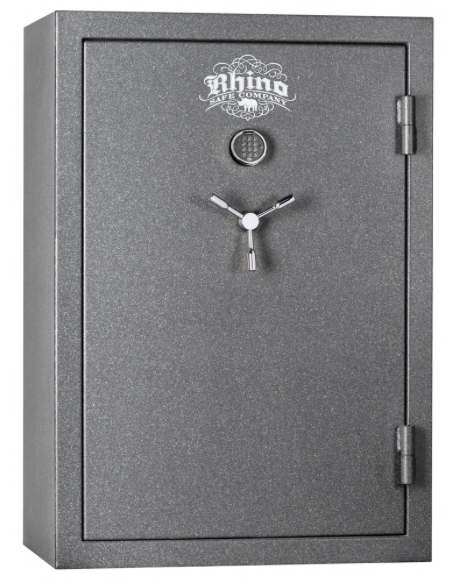 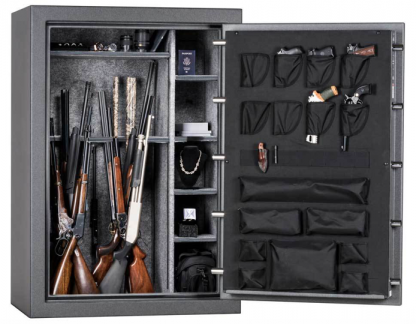 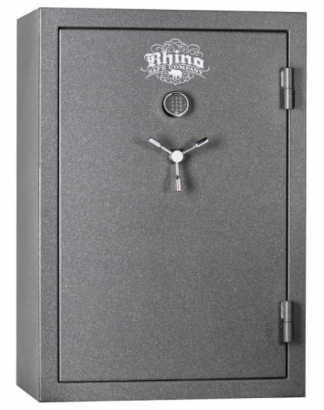 Rhino’s best selling model as it accommodates several firearms and runs about the same price as the smaller 60×30 size safe.